Mix dry ingredients together in one bowl, then cut in the butter till it is all incorporated and resembles soft crumbs. Mix egg and milk in separate bowl, then add to flour mixture and mix till moistened. (at this point, I usually just dig in and mix with my hands) Sprinkle some flour on a flat surface and knead dough. 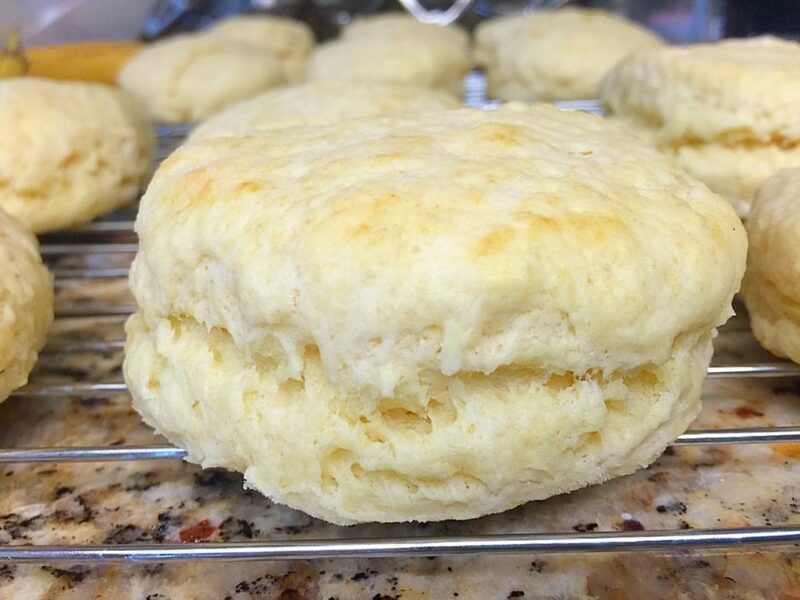 Roll out the dough til it's ½ inch thick. 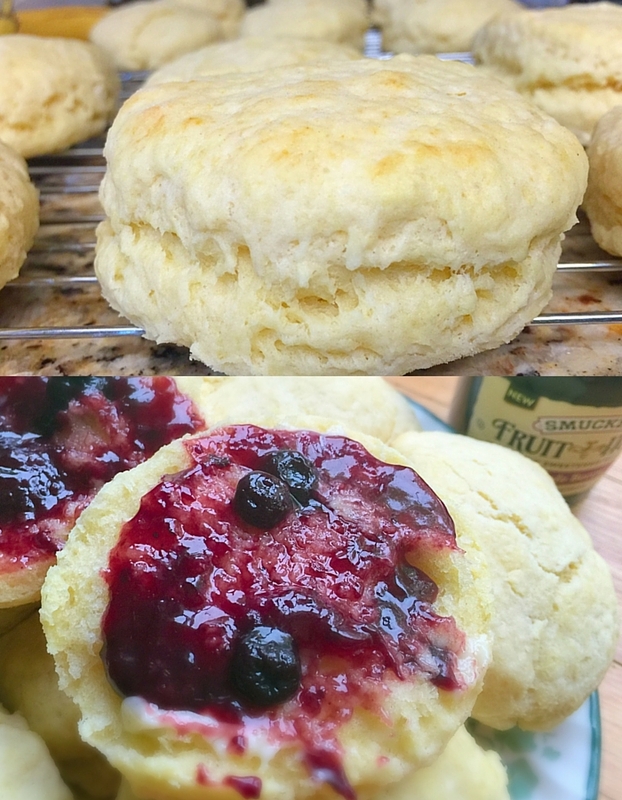 Using a floured round cookie cutter or a glass, cut out biscuits. Place on lightly greased cookie sheet or a cookie sheet lined with parchment paper and bake @450 for 9-11 minutes. If you have kids, this is an easy recipe to have them help with. 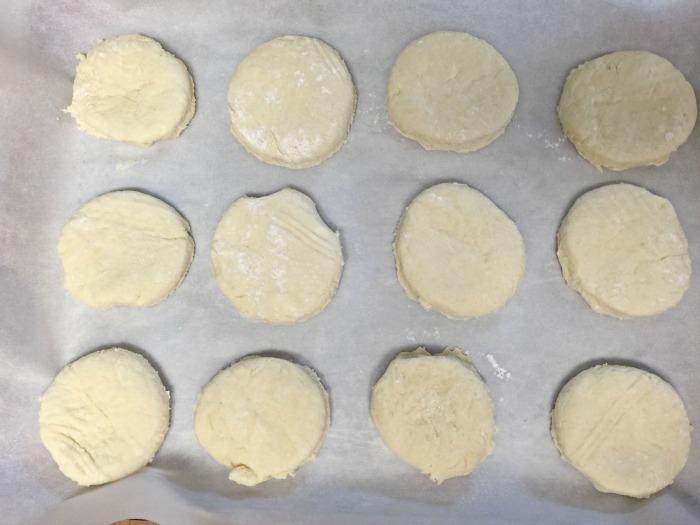 My kids love helping me roll out the dough and cut out the biscuits. They also love to play with the leftover ‘scraps’ and make their own mini biscuits. The taste test for Smuckers® Fruit and Honey was also a BIG success! That stuff is amazing! 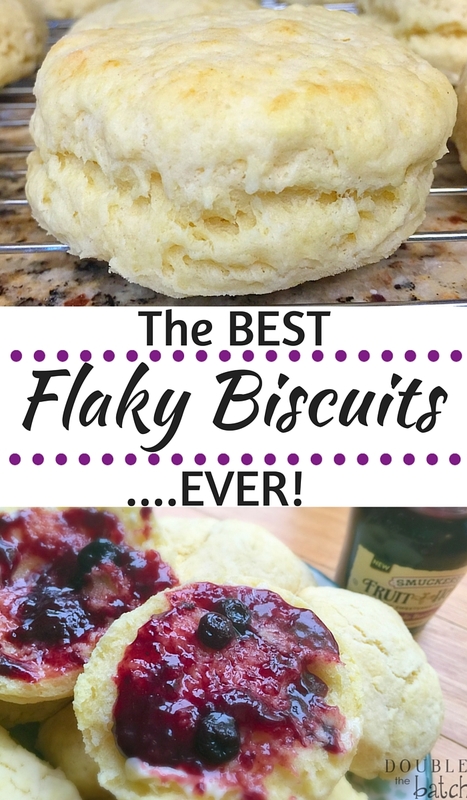 I already love putting butter and honey on my biscuits so I loved the flavor of the Triple Berry on my biscuits. The texture was also super smooth and easy to spread. It is sweetened only with honey…no sugar. 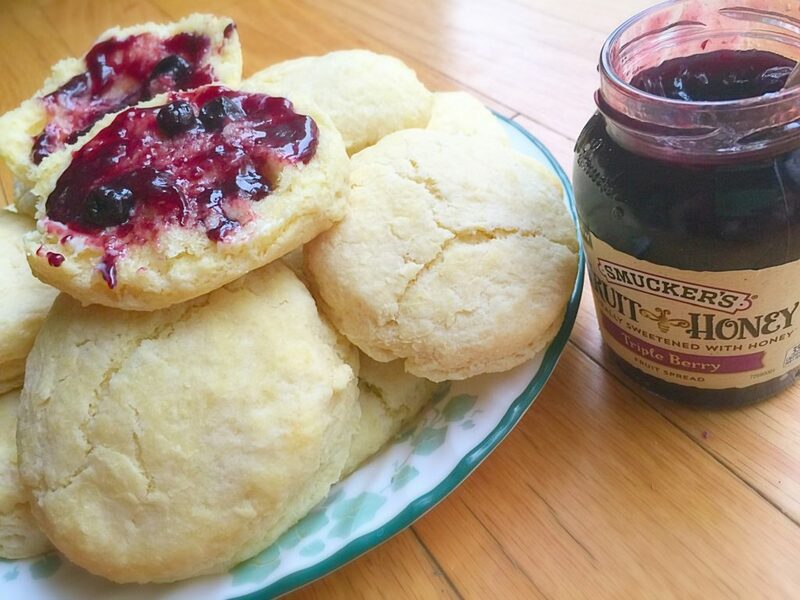 I hope you enjoy these biscuits as much as we do and that you also grab a bottle of Smuckers® Fruit & Honey to go with them! I want to try the Strawberry next! Have you already tried Fruit & Honey spread? 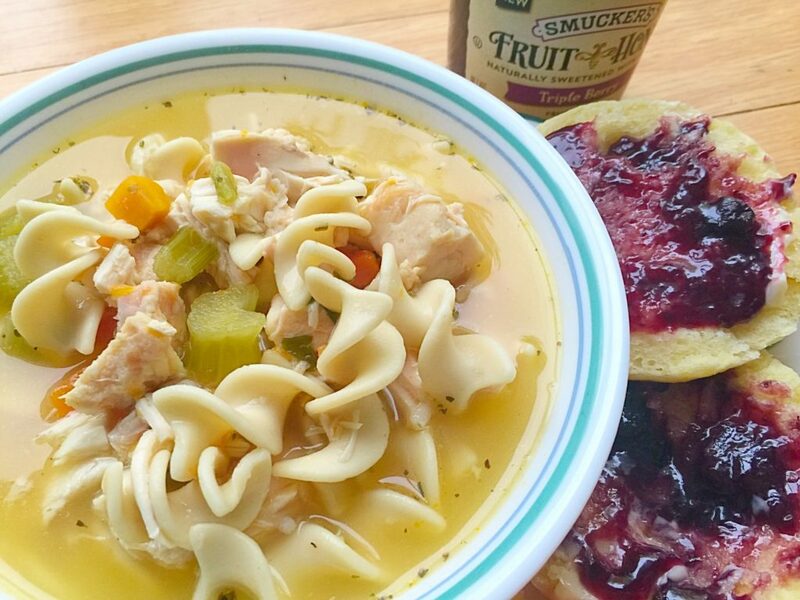 What is your favorite way to use Smuckers® Fruit & Honey Fruit Spread? Please share!